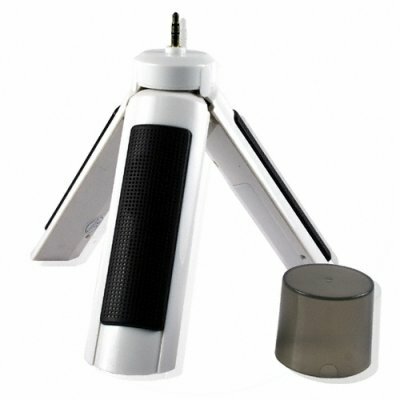 Successfully Added Portable Mini Tripod Speaker - Compatible With All MP3 Players to your Shopping Cart. Having accessories for MP3 and MP4 players are a very great way to improve their overall quality, so Chinavasion brings you this low cost Portable Tripod Speaker compatible with any MP3 or MP4 player. With its miniature high power amplifier, it will bring your music to life, and it can run for up to 10 hours using only 2 AA batteries. This is a great little accessory to add for any PMP..